Barry Shiller, a public affairs professional with private-sector and higher-education experience, has been appointed the new associate vice chancellor for public affairs and communications at the University of California, Santa Cruz. The announcement by Donna Murphy, vice chancellor for University Relations, follows a national search to fill the position. Shiller will begin his new job at UCSC on January 2, 2008. "Barry's breadth of experience will be invaluable in communicating the many ways in which UCSC serves students, the greater Santa Cruz community, and the state and nation," Murphy said. "Barry has led communications teams in higher education as well as in the private sector, and he has an outstanding record of accomplishment in the dynamic field of communications." Shiller, who currently is director of communications at Saint Mary's College of California, is excited about the opportunity to serve the campus. "UC Santa Cruz combines outstanding research capabilities, a distinctive undergraduate experience, and an impressive record of service to the local community and this region of California. I was captivated by the opportunity to be a part of that," he said. "In my encounters with people at UCSC, I was struck by their sense of commitment to the university and their enthusiasm about its future. I look forward to working with colleagues who are so engaged and dedicated." At UCSC, Shiller will oversee the campus's internal and external communications, including media relations, marketing and publications, and new media and web development. Serving as a member of the campus's senior leadership team, Shiller will oversee campus programs that promote a broad understanding of and appreciation for the education, research, and public service activities of UCSC. "My career experiences have led me to appreciate how important it is for institutions to be authentic in their communications. That mindset will guide how we collectively deal with the challenges and opportunities at UC Santa Cruz," Shiller said. In filling the position of associate vice chancellor, Shiller replaces Elizabeth Irwin who retired this past January. 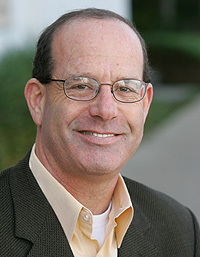 Jim Burns, director of UCSC's Public Information Office, has served as acting AVC since Irwin's departure. Shiller's expertise includes marketing, media relations, web and print publishing, government and community relations and institutional communication. His experience includes five years in higher-education administration and 15 years in private-sector public affairs, communications, and marketing. At Saint Mary's College, Shiller was instrumental in helping address numerous challenges, including concerns about campus safety, the discontinuation of intercollegiate football, failed pledges, and various issues around its last presidential transition. While dealing with those challenges, Shiller assembled a talented College Communications Office staff and identified opportunities to better support the college's evolving communications and marketing needs. He oversaw the revamping of the college's quarterly magazine, introduced a weekly campus bulletin and monthly alumni e-newsletter, earned extensive positive media coverage, managed the renewal of the college's web site, and developed stronger relationships with local, state, and federal public officials and community organizations. Before joining Saint Mary's in late 2002 Shiller held positions as vice president of Fineman Public Relations, vice president of marketing at J.D. Power Clubs/Carclub.com, and director of corporate communications for the California State Automobile Association (AAA of Northern California). A native of San Francisco, Shiller earned his B.A. in psychology from the University of San Francisco and has spent most of his life in the Bay Area. He and his wife, Jane, have three children. You may download a high-resolution photo of Barry Shiller.